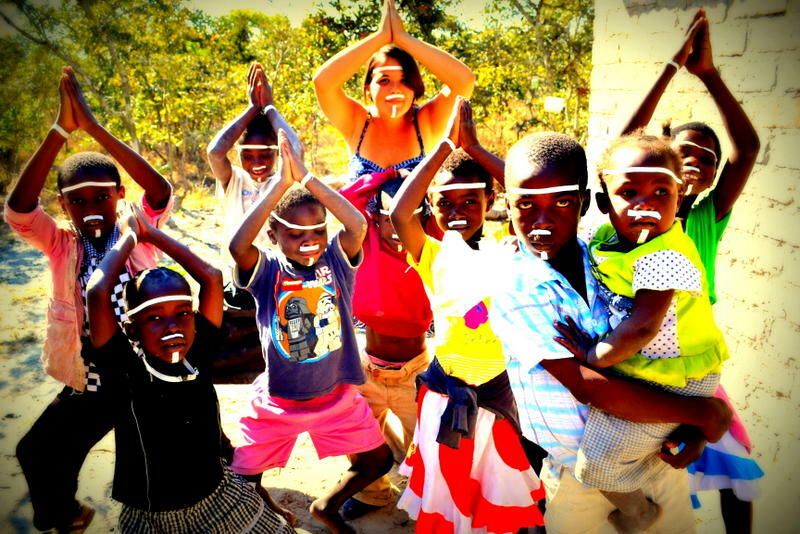 Read one women's story about passion for travel and the change it is bringing to the world! Over the years, we are seeing more and more of the travel industry giving back. Those who use this privilege of traveling to inspire, motivate and help others with this same dream. We are lucky enough here at TIS to be surrounded by many just like this--Erica Virvo is one of those amazing, generous and bright spirited people. Erica had gone into college to study interior design in Virginia, her thoughts were to lead an average life in an average town. It wasn't until one day that she woke up realizing she was set to do something special in this world, something bigger and she wanted to do this through travel. Her immediate thought was to join the Peace Corps. However, with a desire to complete her degree, she chose an alternative option. Instead she packed her bags and moved to Qatar, a location where she can continue her university credits and also learn about the world. "Traveling to Qatar changed my life and was one of the main things that set things in motion for me as a volunteer and a traveler." From here Erica was more inspired than ever. Soon after her move to Qatar, Erica took a spring break trip to Cambodia with a volunteer group. Instead of giving up when she didn't find a job in Cambodia, Erica lived her dream by venturing to rural Thailand to live with host family and volunteer teaching English to high schoolers. Then eventually she found herself in South Korea teaching English as a job. After traveling half way around the world at this point, she came to a realization. She was not just traveling, she was learning and growing with others. Erica was loving every minute of this experience and knew she needed to take this gift of hers to the next level! In this program, Erica spent 6 months in the Caribbean learning and living the culture of the town. Experiences ranged form working on a farm, cleaning up beaches, teaching in local schools and most importantly how to live in an area without running water or electricity. These 6 months were all preparation for the time Erica spent in Zambia, where she traveled to next. In Zambia, life started to make sense. Everything she learned was bursting through with passion, love and light. She was finally able to use all the skills developed over the years of travel to be a change of world to these people. And by people we mean, those of all ages, from 4 to 94 years. Erica was now one with the community! "The meaning of life is to find your gift. The purpose of life is to give it away"
Although her time ended in Zambia, she knew what had to come next--find an organization to continue to help her new family. An organization that would give them hope and light, even if she was back home--this is when she found Charity: Water. charity: water is a non-profit organization that provides clean and safe drinking water to people in developing nations. Founded by Scott Harrison in 2006,this organization has helped fund 19,819 projects in 24 countries, benefiting over 6.1 million people. This tribe is what brings Erica to life! "We are told so much about how life is, but if you don’t see thing for yourself you don’t truly know." Erica continues to purse her passion of travel within her career as she currently holds the position of Director of Global Operations with Nomadic Matt. The wonderful part of her job is that she also gets to give back by working on Nomadic Matt's non-profit Foundation for Learning and Youth Travel Education, which sends American high school classes on educational trips overseas to bring their learning to life. You may be familiar with them because we at TIS partner with FLYTE by donating 2% of our profits to the foundation! Erica is one of those amazing women that will continue to inspire others to believe that if you can dream it, you can do it and when you do it--give back to those in need! If you would like to be a apart of Erica's journey we encourage you to donate to charity: water on her behalf! For her upcoming birthday she is raising money for to bring clean water to rural areas of the world. She was inspired to do this after she learned that her wonderful host family just lost a very special member of their family. Shaddy was just 4 years old. To contact Erica or to get more information on donating simply click on this link for more information.